Jiuzhaigou was hit by heavy earthquake last month （August 2017）and the national park has been closed for this. I will wait for now to see if there is any sign of reopening! 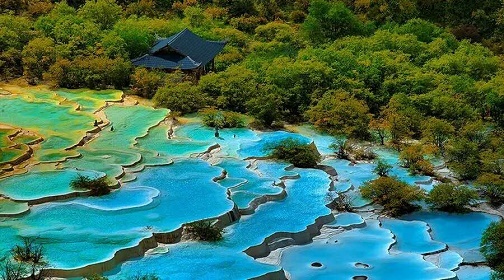 If not I will visit Huanglong national park instead! Based on my journey below, do you have any recommendations on how to get to Huanglong starting in Chengdu? 1. Go from Chengdu to Songpan firstly and then change another bus to travel from Songpan to Huanglong. 2. Go from Chengdu to Chuanzhusi firstly and then hire a car to travel from Chuanzhusi to Huanglong as the two places are close together. Or you can wait early the next morning to take a bus to travel from Chuanzhusi to Huanglong.